Hertfordshire opened the 2017 County Championship with a win over Kent in a tough fought match. Despite being reduced to 14 men, Herts ran out 19-12 winners. which rather flattered their score line. the strong tackling of Herts. ball along the line for Tom Banks (Bishop’s Stortford) to cross in the right corner. which resulted in a yellow card for the Kent player and a red for the Herts scrum half. on the wing, so he stepped in and took command behind the forwards. Kent line only for the ball to be knocked on. converted, so extending the lead to 19 points. Cooper (Canterbury) to touch down to make the final score 12 – 19. Kent: Tries – Stradwick 77m, Cooper 80m; Conversion – Cooper 77m. 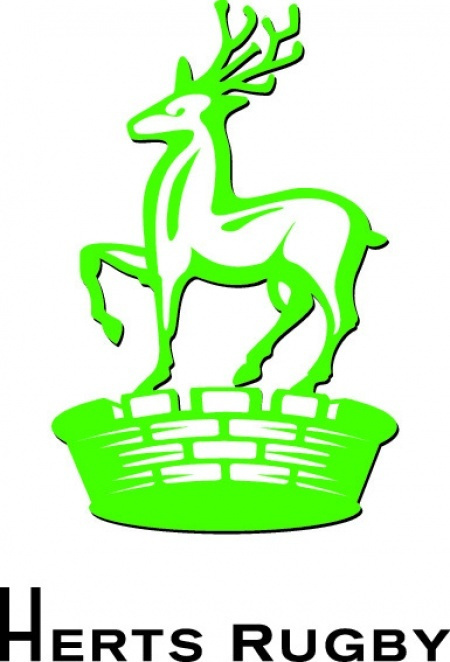 Hertfordshire: Tries – Banks 10m, Crossdale 26m, 56m; Conversions – Banks 26, 56m. (Bishop’s Stortford), Anthony Maka (Hertford).